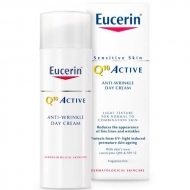 DESCRIPTION: Q10 Active Anti-Wrinkle Day Cream PS from Eucerin is a mild, non-comedogenic textured day cream designed for sensitive skin with Coenzyme Q10 to protect against the signs of premature aging. 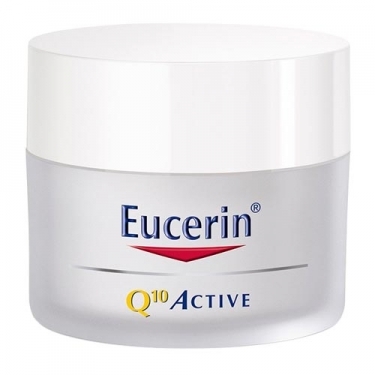 Formulated with Q10 conenzyme, a nutrient, which stimulates and improves the regeneration capacity of the cells, attenuating the most marked traits. 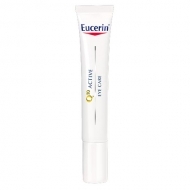 It also contains sunscreens that allow high protection against UVA and UVB rays. 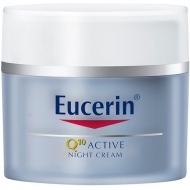 With an oil-free texture and rapid absorption, it moisturizes the skin without leaving it shiny. Can be used as a make-up base. Without perfume. No dyes. Non-comedogenic.